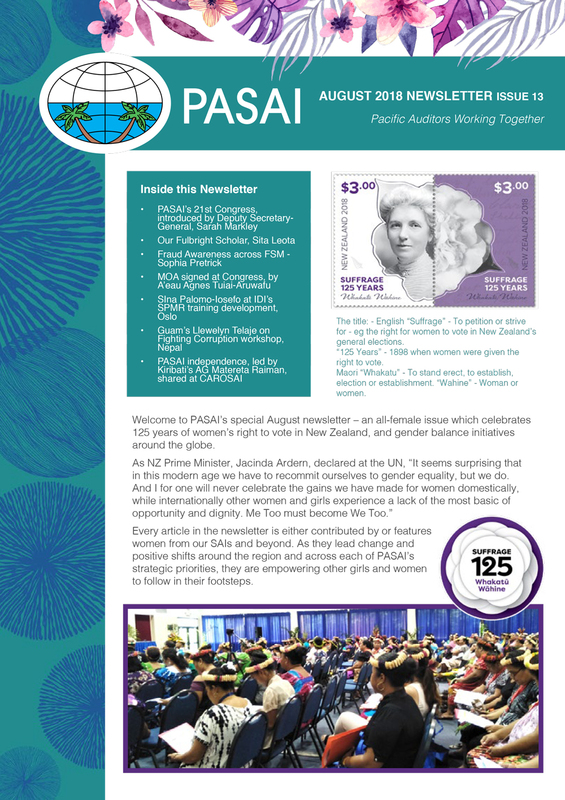 The latest issue(17) of the PASAI newsletter is now out, featuring articles and information from many SAIs including Tuvalu, Pohnpei, Fiji, Tonga, Yap, Nauru, Samoa, Cook Islands and Kiribati. 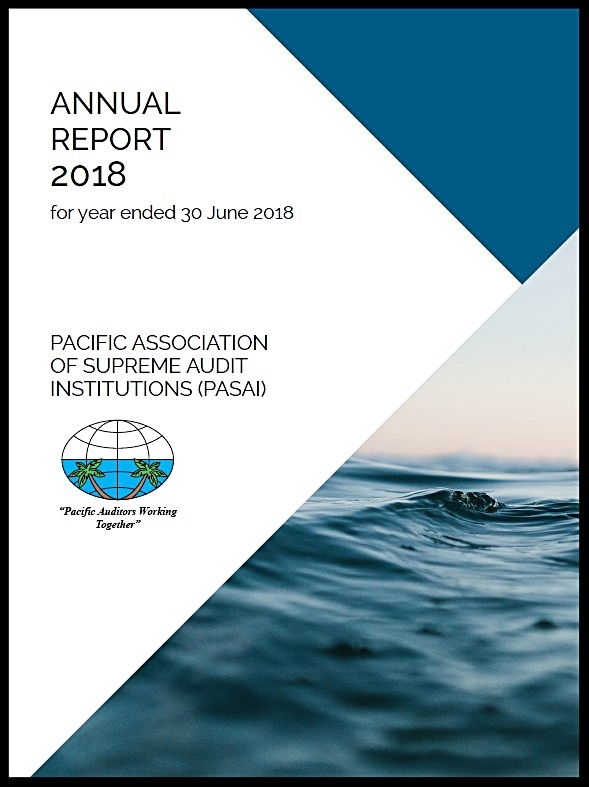 PASAI’s Annual Report for year ended 30 June 2018 has been released today. In addition to the key financial information, the Report focuses on activities undertaken throughout the year in alignment with PASAI’s Strategic Plan 2014 - 2024 and its five Strategic Priorities. You can read the Annual Report online or download it here. Congratulations to the Audit Office of New South Wales who were recently recognised for excellence in annual reporting, winning in three categories for their 2016/17 annual report at the recent Australasian Reporting Awards in Sydney. Last year the Audit Office of New South Wales won the overall ‘Report of the Year’ category. You can view the Audit Office of New South Wales 2016/17 Annual Report here. 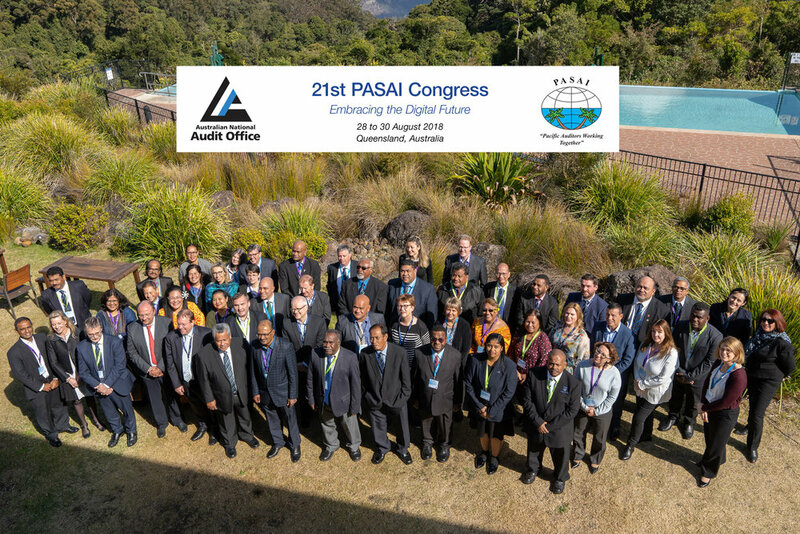 PASAI's 21st Congress is coming up soon, on 28 - 30 August 2018, hosted by the Australia National Audit Office (ANAO) at O’Reilly’s Rainforest Retreat, nestled in the world heritage listed Lamington National Park in Queensland, Australia. The Congress is PASAI’s supreme authority and consists of all PASAI members and has been held annually since 2006, with a different theme underpinning the discussions at this meeting of all the member SAIs. The theme of the 21st Congress is Embracing the Digital Future. Advancing technology is changing the ways in which we communicate, as well as how we collect and analyse audit data. Congress discussions and workshops will share experiences, success stories and lessons learned about reliable and emerging technologies – and resources that support efficient, quality audit services and products. Members already have their travel plans underway, and all are looking forward to a fruitful set of discussions at the three-day event. Working together to increase awareness, capability and knowledge-sharing in environmental auditing, the 10th meeting of the ACAG/PASAI Regional Working Group on Environmental Auditing (RWGEA) was hosted by the Queensland Audit Office in Brisbane, Australia, during May 2018. When introducing a SAI’s audit methodology/case to the participants, it should be introduced objectively as an example. It should not be introduced as being better than any other SAI’s audit methodology/case. Also, we should not force the participating SAIs to adopt it. Each country has its own distinctive system, which has been created through a unique process based on its unique historical background. We should respect each other’s systems and not see subjectively that the country A’s system is better than the country B’s system. For example, SAI Japan conducts a seminar where we simply introduce SAI Japan’s experience and methodology on public construction works audit, not intending to demand the participating SAIs to adopt our audit methodology. We fully understand that our audit methodology has been created under Japan’s unique environment, under which natural disasters such as earthquakes, typhoons etc. 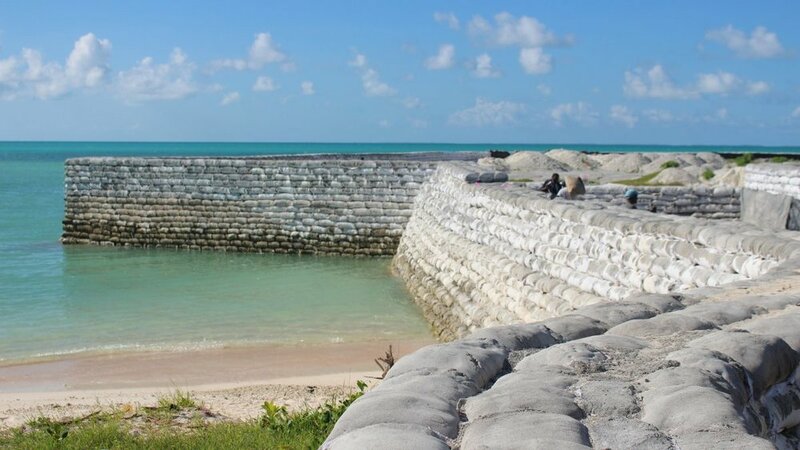 occur frequently, thus our public construction works system has been developed so that our infrastructure should withstand against such natural disasters. Our audit methodology would not work without Japan’s public construction works system. Thus, seminar participants would not understand our audit methodology/case correctly without understanding Japan’s unique environment. For these reasons, we explain Japan’s unique environment, our unique public construction works system and our unique history that have developed our audit methodology. Our seminar’s main purpose is to make the participants fully understand our public construction works audits. It depends entirely on the participants whether they would like to adopt our audit methodology or not. We do not force them to do so. When conducting international seminars, our main focus is on how to provide a platform for the participants, where they all can understand other SAI’s experiences. In order to achieve this goal, we try to provide an environment in which all participants can join the discussion. As SAI Japan is in charge of ASOSAI’s capacity development activities, I have had the opportunity to plan and organize knowledge sharing seminars for ASOSAI’s members. In this role I soon realized that the systems of ASOSAI’s members are very different from each other. For example, if the theme of a seminar is performance audit, the gap between each SAI’s experiences on performance audit is so big that it seems meaningless to discuss it with each other. Some SAIs may have experience from performance audit since over 20 years, while some SAIs have just introduced it, or other SAIs have not introduced it yet. Despite such huge differences, however, it is meaningful to discuss the same topic among the member SAIs. You will find out some SAIs may benefit from your SAI’s experience, while your SAI may also benefit from other SAIs’ experience in spite of huge differences. To understand other SAIs’ situations, organizers need to create an environment where each participant can talk freely about his/her SAI’s system and audit situation, while other participants listen. In this regard, I would like to mention failures that I experienced in a seminar some years ago. In that seminar, since there were only about ten participants, I set a discussion session among all the participants in order to collect their thoughts and views and then finalize the seminar. At that instance, my colleague from another SAI who was invited to attend the seminar as instructor, gave me the following advice: “- The next time, you could divide the participants into small groups, ideally, each of which consists of only 3-4 people. It is better to discuss in the small group first, and then make all the participants gather in a discussion where the leader of each group presents his/her group’s comments/thoughts to all the participants.” Since then, I always make it a habit to introduce a small group work session, followed by a discussion by all the participants together. I have found that, if the discussion is done with many people from the start, only some people present their views while people who are shy or are non-native English speakers tend to be quiet, left without an opportunity to make their views heard. In recent seminars, I have been happy to find that participants who are shy or are non-native English speakers do present their views well in the small groups. As I am also a non-native English speaker, I understand fully how difficult it can be to keep up with the discussion in international seminars where English is the official language. Therefore, when we are in charge of international programs, we make it a habit to provide sufficient preparatory time to the participants and give them the seminar’s documents well before the seminar starts. If we did not do that, the participants from non-English speaking countries would not be able to participate fully in the seminar because they would not be able to understand its contents, not being able to prepare before the seminar. If they were given the chance to read the documents well before the seminar, they would understand its contents. Having experiences from attending both international capacity development programs and international organization’s meetings such as ASOSAI/INTOSAI Governing Board meetings, I have found that the key factor for the success of these events is the same. It is to create an environment where all members feel that they are provided equal opportunities, that they can express their views freely and that their opinions are treated as important input. This way the efforts made in both capacity development activities and international organization’s meetings would reach further and make a difference to many more SAIs. The audit institutions in the Pacific region attended a workshop in Nuku’alofa, Tonga on 23 - 27 April 2018 to develop their strategic plans and related operational plans. The plans were based on the results of the evaluation of their offices through the INTOSAI performance measurement framework (SAI PMF). The workshop covered the whole strategic planning process which is part of the INTOSAI global programme on Strategy, Performance Measurement and Reporting (SPMR). The SPMR programme not only focuses on the strategic planning cycle but on the strategic management cycle, including performance measurement and reporting. Twenty-six participants from 11 government audit offices (or SAIs) attended the workshop from Cook Islands, the Federated States of Micronesia – National Office and the state audit offices of Kosrae, Pohnpei, and Yap, Republic of the Marshall Islands, Samoa, Guam, Solomon Islands, Tonga, and Tuvalu. All but two of the audit institutions were also represented by their Auditors-General or Public Auditors. The workshop was facilitated by Freddy Yves Ndjemba, Dafina Dimitrova, and Shofiqul Islam from the INTOSAI Development Intiative (IDI), assisted by Sarah Markley from the New Zealand Office of the Auditor-General, and Tiofilusi Tiueti, Sinaroseta Palamo-Iosefo and Eroni Vatuloka from the Pacific Association of Supreme Audit Institutions (PASAI). Photo: The Strategic management workshop participants from SAIs of the pacific region with the facilitators. The Pacific is one of the two INTOSAI regions piloting this global programme whose objective is to ensure audit institutions develop and maintain a strategic planning and management process, that enables them to achieve strategic outcomes and deliver value and benefits to the citizens. Participants appreciated the importance of a strategically managed SAI in its mission to lead by example and add value to society, making a difference to the lives of citizens. The participants will meet again in October 2018 to evaluate their draft strategic plans to ensure development outcomes are realistic and can be supported by their governments and development partners. 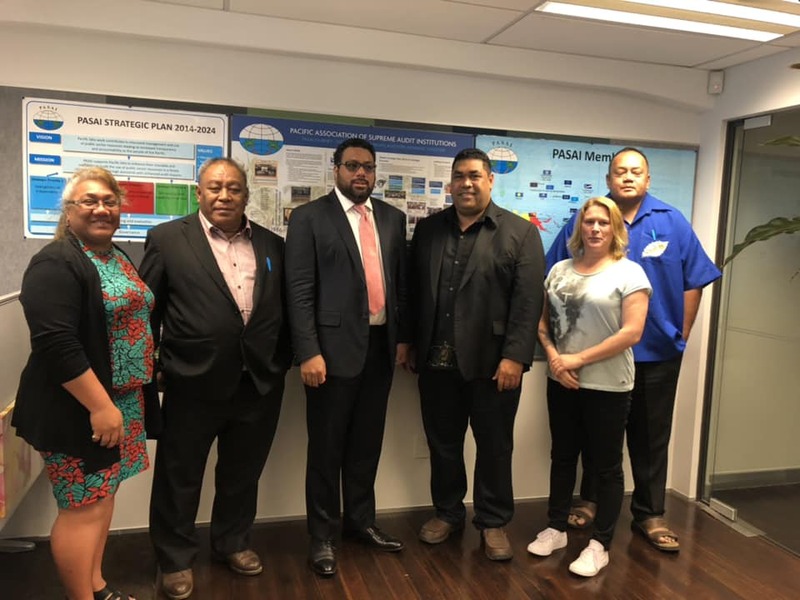 PASAI acknowledges the financial support by the IDI, Australia Department of Foreign Affairs and Trade, and the New Zealand Ministry of Foreign Affairs and Trade to conduct this strategic management programme for SAIs in the Pacific region. News Update from the 2018 FEMM held this week in Palau. Feature Article by Meg Taylor DBE, Secretary General of the Pacific Islands Forum Secretariat. Applications close Monday, 2 April 2018. 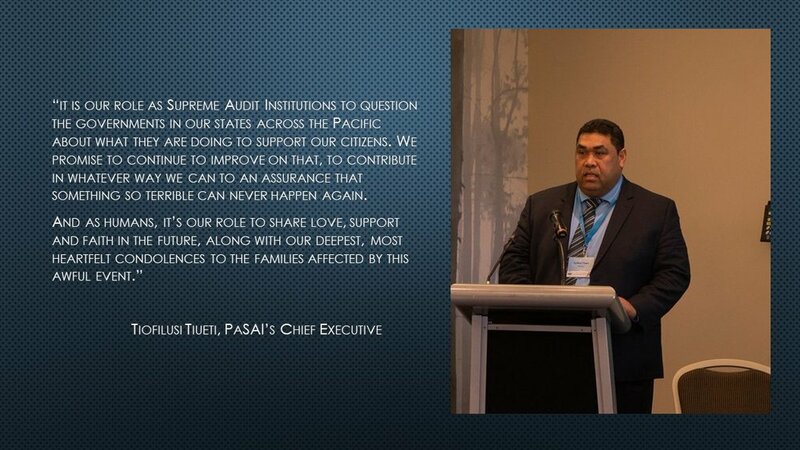 The Pacific Association of Supreme Audit Institutions (PASAI) is the official association of 26 Supreme Audit Institutions (government audit offices and similar organisations, known as SAIs) in the Pacific region. PASAI has an Auckland-based Secretariat, and operates through a New Zealand-registered incorporated society. Its budget is about NZ$3 million each year, although this is expected to increase. Its work is funded by several development partners, including the Asian Development Bank, the Australian Department of Foreign Affairs and Trade, the New Zealand Ministry of Foreign Affairs and Trade, and the World Bank. We're recruiting for a quick-thinking, audience-focused wordsmith, who is cheerful, clever, composed, and capable. For the past four years PASAI's communications advice and editorial support has been provided by external contractors, but with PASAI's current focus, it is now our preference to recruit a part-time local Communications Advisor/Editor to be based in the Secretariat office in Parnell, Auckland. A well-qualified and experienced communications professional is needed to ensure the quality of PASAI's materials and reports and prepare them for publication and distribution. We need someone with an above-average grasp of written English, a sharp eye for detail, and a commitment to plain English. As well as seeing ambiguity, a lack of clarity, or a misplaced comma (and knowing how to fix them), you also need the ability to see when the structure or story is not quite right – and suggest how it could work better. For more information on this role, please contact Jen Broster on 04 917 1500 or recruitment@oag.govt.nz. You must apply online through www.jobs.govt.nz (and you'll find the position description there, too). The Office of the Federated States of Micronesia Public Auditor and the Office of Pohnpei State Public Auditor combined forces to execute the Fraud Awareness Flexible Funding project. The project is coordinated through the Office of the Commonwealth Ombudsman (OCO), and funded by the Australian Department of Foreign Affairs and Trade (DFAT) as part of the Pacific Governance and Anti-Corruption program. FSM's objective is to raise public awareness through their community outreach program by educating the entire community, inclusive of government departments, on the impact of fraud, corruption and suspicious activities. The OPAs aim is to empower the community to be able to identify and correctly report these activities supporting the prevention of fraud and corruption. As part of their Flexible Funding Project by the Office of Commonwealth Ombudsman (OCO), FSM OPA's have worked together to produce a video to increase public awareness and education of the Public Auditor’s value and benefits. Have a read of INTOSAI's latest newsletter as there is plenty of interesting editorials, news and events inside! We invite you to read the latest quarterly newsletter of the INTOSAI-Donor Cooperation! It is produced in English, Arabic, French and Spanish, presenting updates on the IDI's projects over the previous quarter and cooperation activities across the region. Please copy the link below to access this newsletter.